Earthquake in Chile, Tsunami warnings for Hawaii, Amver ship beware! Amver ships beware. A strong 8.8 magnitude earthquake struck Chile today spreading destruction across that country and prompting the NOAA Pacific Tsunami Warning Center to issue a tsunami warning for the state of Hawaii and other Pacific coastal areas. While the potential tsunami may not affect large vessels at sea the tsunami wave may strengthen as it reaches shallower water. What does that mean for Amver participants? First you should batten down the hatches, be extra vigilant on watch, and be prepared to render assistance if called upon from a rescue coordination center. Like the Boy Scouts say, "Be Prepared"
There have been some updates to the maritime social media scene. James Tweed recently released an iPhone app offering up the top 40 maritime tweeters. Ryan Skinner also wrote an interesting post about the state of social media in the maritime sector. How does Amver stack up in the social media department? Well we were recognized by the Marketing Over Coffee team with a 2009 Marketing Over Coffee award, we have launched our own iPhone application and we are in the top 40 of maritime tweeters. Additionally, we posted the first pictures of the Concordia rescue. We are doing pretty good I suppose! Come see us in action at the Connecticut Maritime Association Shipping 2010 conference in Stamford, Conn. March 22-24. We'll be tweeting and blogging from CMA. How are you incorporating social media in your workspace? Can I get sued for participating in Amver? Any time Good Samaritans are called upon to perform search and rescue services someone eventually asks "Can we be sued if things go wrong?" and we can't blame you for asking. It's also no secret that occasionally an Amver rescue doesn't end in lives saved. Sometimes people get anxious (and who wouldn't in a survival situation?) and act prematurely, perhaps not listening to rescue orders from ships, resulting in injury or death. Other times there may be equipment failures or it may be to dangerous to attempt rescue operations. So what sort of liability issues surround Amver participants during search and rescue operations? We are not lawyers but perhaps this overview, and some comments of our readers, will shed some light on this important topic. There are several international Conventions and laws surrounding merchant mariners and their duty to act when notified of a maritime emergency. The International Convention for the Safety of Life at Sea (SOLAS), 1974, Regulation 33 (Paragraph 1) states the following (SOLAS link): The master of a ship at sea which is in a position to be able to provide assistance, on receiving information from any source that persons are in distress at sea, is bound to proceed with all speed to their assistance, if possible informing them or the search and rescue service that the ship is doing so. If the ship receiving the distress alert is unable or, in special circumstances of the case, considers it unreasonable or unnecessary to proceed to their assistance, the master must enter in the log-book the reason for failing to proceed to the assistance of the persons in distress, taking into account the recommendation of the Organization to inform the appropriate search and rescue service accordingly. The Convention for the Unification of Certain Rules of Law relating to Assistance and Salvage at Sea, 23 September 1910, Article 11, states that (link): Every master is bound, so far as he can do so without serious danger to his vessel, her crew and her passengers, to render assistance to everybody, even though an enemy, found at sea in danger of being lost. Every master is bound, so far as he can do so without serious danger to his vessel and persons theron, to render assistance to any person in danger of being lost at sea. The States Parties shall adopt the measures necessary to enforce the duty set out in paragraph 1. The owner of the vessel shall incur no liability for a breach of the duty of the master under paragraph 1.
after a collision, to render assistance to the other ship, its crew and its passengers and, where possible, to inform the other ship of the name of its own ship, its port of registry and the nearest port at which it will call. (b) A master or individual violating this section shall be fined not more than $1,000, imprisoned for not more than 2 years, or both. The duty to assist others in distress at sea is no greater or less for vessels participating in ship reporting systems than for those not participating. 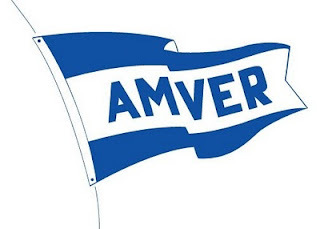 By enrolling in Amver, a vessel voluntarily provides their position throughout their voyage and are available to divert for search and rescue if so required. Advantages of vessel participation are operational and humanitarian, and do not affect obligations of the persons in charge of any vessel. Amver is only the vehicle in which to more effectively provide lifesaving capabilities to persons in distress at sea. So what do you have to say? I know there are maritime lawyers from around the world that read the Amver blog. What do you have to say about this? Share your thoughts! 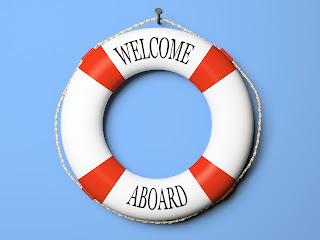 In the wake of the rescue of 64 students and crew of the Canadian vessel Concordia it seems fitting to recognize the latest members of the Amver safety network. You, yes you- you save lives every day. Your willingness to divert, sail into dangerous waters, risk life and limb saves lives. In case we haven't said it enough; thank you! Now, let's welcome our latest life savers! What is keeping you from enrolling? Below are some exclusive photos sent to us by our friends at the Mitsui O.S.K. Lines Ltd, managers of the Hokuetsu Delight and Crystal Pioneer. Both Amver participants rescued the 64 students and crew of the Canadian training ship Concordia which sank off the coast of Brazil last Wednesday, February 17th. You can make a difference by enrolling your ship in the Amver system today. In this "year of the seafarer" it is wonderful to see mariner helping mariner. Photo credit: Milsui O.S.K. Lines, Ltd.
ACR Electronics recently sent Amver a Tweet about a new feature they offer called 406link.com. This feature allows subscribers to both test their 406 emergency beacon and let friends and family know they are ok. This feature is in line with services offered by the SPOT satellite messenger. SPOT allows users to let friends and family know they are ok by sending a pre-programmed message and GPS location. What emergency beacon do you carry on your vessel? Is your 406 beacon properly registered? Two Amver ships rescued all 64 students and crew of the Canadian sailing vessel Concordia after it sank 344 miles off the coast of Rio de Janiero Wednesday, February 17th. Brazilian rescue authorities diverted the Philippine flagged Hokuetsu Delight and the Cayman Island flagged Crystal Pioneer to the scene of the distress. According to a press release from West Island College Class Afloat, parent organization of the Concordia, Brazilian rescue aircraft located a safety boat and life rafts on the evening of February 18th. The Crystal Pioneer, an Amver participant since November 2008, located the lifeboats early Friday morning February 19th. New reports stated the Crystal Pioneer could not begin rescue operations until first light due to the darkness and rough seas. The Crystal Pioneer, managed by MMS Company Ltd, rescued 20 people while the Hokuetsu Delight, managed by Mitsui O.S.K. Lines, rescued the remaining 44 students and crew. The Hokuetsu Delight has been participating in Amver for 10 years. By Saturday, February 20th all the Concordia survivors had arrived Safely in Rio de Janeiro. Enroll your vessel today and become part of this global rescue service! Should survivors be charged for search and rescue operations? We have all read cases where unqualified or ill prepared people find themselves in positions where they need to be rescued. Many of our Amver participants have rescued sailors or crews found in distress. We may have even said, "Man, we should charge those folks." Search and rescue operations can cost thousands of dollars an hour. Each time rescue personnel launch a boat or aircraft they put their lives in danger. Sadly, first responders have lost their lives in the effort to save others. In the United States Coast Guard there is a saying "You have to go out, you don't have to come back". 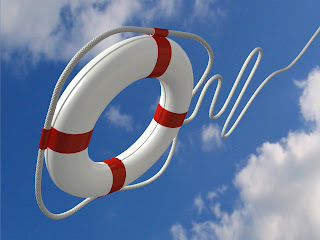 In a recent Journal of Homeland Security and Emergency Management journal article, Sheila Huss questions whether or not individuals who find themselves in distress should have to pay for their rescue. The article concludes charge-for-rescue policies are a bad idea. If we were to charge for rescue where do we draw the line? Do we charge recreational sailors and not charge professional mariners? Do we charge people who do not have the proper survival equipment? What do you think? Tell us your thoughts on charging for search and rescue in the comments. According to reports from MSNBC, Captain Edgardo Ybranez, of the Amver participating cargo ship Hokuetsu Delight, said his crew rescued 44 of the 64 students and crew of the Canadian tall ship Concordia. According to other sources the first of the survivors are arriving at a Rio de Janeiro port today. A video is available from the Globe and Mail. The Philippine flagged Amver participating ship Hokuetsu Delight answered the distress call of the Canadian flagged tall ship Concordia on February 18th according to various news reports. The Concordia was enrolled in the Amver system as well. According to a statement from Class Afloat, the parent organization of the Concordia, all 64 students and crew were safe. The Hokuetsu Delight, managed by the Philippine MT Shipmanagement Corporation, enrolled in the Amver system on December 16, 1997 and has earned 10 awards for participation. It is unclear how many survivors they rescued. The Concordia was approximately 555 kilometers off the coast of Rio de Janeiro when it encountered high winds and rough weather. The students and crew abandoned ship and activated their emergency beacon. Admiral Allen also made an interesting statement. You can take the entire active duty Coast Guard workforce and fit them in the local Washington, DC professional baseball stadium. Despite this small force, the United States Coast Guard maintains a readiness and ability to answer any call for help. Many of you are wondering how this affects the merchant seaman, the Amver participant. Quite frankly we are relying on you to help us save lives. Things really aren't any different than they have been. We have relied on your help to save lives for 52 years and you have performed a stellar job. But with today's aging Coast Guard fleet and the increase in our mission we need you now more than ever. You have answered the call by enrolling in greater numbers than last year. Keep up the good work. Keep enrolling and reporting. More Amver awards were earned in 2009 than in the history of the program. This is proof that you understand your ability to have a positive impact on search and rescue within the United State's search and rescue region and around the world. Because of you Admiral Allen was able to confidently say the United States Coast Guard is ready and resilient. Continue the tradition and enroll your vessel today. There is no shortage of reports of the failing Greek economy and European Union's efforts to save it. Despite the economic woes of Greece, the Hellenic shipping communities support of Amver has never been stronger. Greek ships earned 932 Amver awards in 2009. That is the most by any country in the 52 year history of Amver! Want to catch up with the Greeks? Enroll your vessel today. Thank you Greece! Thank you Propeller Club, Port of Piraeus! Thank you for answering the call. We have asked for your help and you have answered in earnest. An additional 47 ships have enrolled in the Amver system. Really, this means so much to us and to the maritime community you protect. Please welcome our latest enrollees. Is that your ship listed above? It isn't? Why not? How about enrolling your vessel in the Amver system today and see your name here? Will we see you at CMA Shipping 2010? It's that time again. Time for the shipping community to look towards Stamford, Conn. Time for the movers and shakers in shipping; owners, charterers, captains, regulators, and Coastguards to head to the biggest little shipping conference in the United States (or so they say). What are we talking about? Why the Connecticut Maritime Association Shipping 2010 conference, that's what. Who else is using new media to reach consumers? It's hard to say. Perhaps even more shipping concerns will be using new media by the end of the conference. If you want to follow what's going on you can stay tuned to the Amver blog or follow the conference on Twitter. We are still working up a hashtag for the event. It seems #cma is used in the real estate sector. What do you think? Should we use #cma, #shipping2010, #cma2010? What about a tweetup or other type of social media gathering? What will you be doing at Shipping 2010? Amver wins Marketing Over Coffee Award! If you haven't seen the tweet we sent out Thursday morning then perhaps you don't know that Amver is a winner of one of the 2009 Marketing Over Coffee Awards given by marketing experts John Wall and Christopher S. Penn. 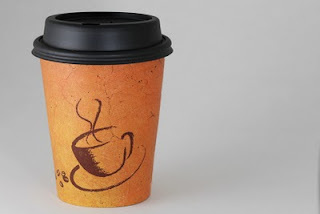 What is a Marketing Over Coffee Award? According to the MOC website, the Marketing Over Coffee Awards "... honor those who have done exemplary work in Marketing over the past year. Often the winners sit at the intersection of Marketing and Technology, having identified a future trend and put it to work." Wall and Penn must have felt our use of new media to engage a wide range of consumers worthy of recognition. The Marketing Over Coffee team isn't the only group to identify Amver as a new media user to watch. So has Ryan Skinner on his blog. Thank you John and Chris. We appreciate the recognition. Congratulations to all the recipients. I hope our success encourages other shipping companies to excel in their space as well. You can start by enrolling in Amver (shameless enrollment plug). Interested in listening to Marketing Over Coffee each week? Check them out on iTunes. The hits just keep on coming! 38 more ships have enrolled in the Amver search and rescue system. Don't forget, you can now check out Amver on your iPhone with the Amver app! Why do people enroll in Amver? Perhaps you would be willing to answer that question. Tell us in the comments. In the meantime please help us welcome our new lifesavers. We welcome our new participants. If you haven't enrolled consider this your personal invitation! Ryan Skinner recently posted a piece on his blog about maritime media and advertorial shipping magazines. His follow up piece describes how current maritime media advertisers need to chose between "... a dying paradigm they understand, and a lively paradigm they don't." Skinner believes media will have no choice but to change, to evolve with the times. At Amver we recognized the world of information sharing was changing, which is why we launched the Amver blog and other new media products. What's funny is that some people have been trumpeting this change for some time now. Mitch Joel, author of Six Pixels of Separation, calls what people are looking for "snackable content". We think he may be on to something. In a soundbite world there seems to be a desire for shorter, more relevant content geared for mobile readers. Heck, even Amver has joined the mobile trend with an iPhone application available on iTunes. How has the proliferation of online media changed the way you consume information or advertise? How do you read your favorite maritime trade journals? How will you advertise in the future? Amver, There's An App For That! Are you trying to keep track of the rescue news, blog posts, Twitter stream, and other social media products Amver dishes out to you? No need to worry because today we announce the launch of our application on iTunes! Compatible with the iPhone and soon to be released iPad, the Amver app combines our blog posts and Twitter stream in a single source. Why does an international search and rescue program need an iPhone app? Because the way information is delivered and consumed is evolving. C.C. Chapman, who recently launched his own iPhone application, stated on his blog that he wanted an easy one click way for people to get his content. C.C. is not alone. Chris Brogan also launched an iPhone application of all his content. Besides the blog we engage our customers on Facebook, Twitter, Flickr, and YouTube. Having an application that begins to aggregate these different spaces into one place seems like a natural way forward. As more people leverage mobile based technology it will be the rule, rather than the exception, for organizations to have a presence in the mobile space. The launch of the Amver iPhone application ensures our program has a foothold in the future. 2009 was a good year for Amver. You can read the entire business summary and see the 2009 Amver certificate count as well. But what do all these numbers mean? Take a look at this chart. We have superimposed the average number of ships on the Amver plot from 2003 to 2009. The Amver plot has increased from 2,788 ships on plot per day to 3,617 while the number of vessels earning Amver awards has increased from 3,887 to 5,549 for the same period. Look at the green line. That line represents the world's fleet of ships over 100 gross tons registered with Lloyd's Register Fairplay. What we find most interesting is that despite a significant drop in the number of ships in the world's fleet, Amver participation continued to steadily increase. Does that mean Amver is growing in worldwide acceptance? We certainly hope so. Taking a closer look at last year we continued to see growth. 1,417 ships enrolled in Amver in 2009, down 179 ships from 2008. Despite this drop the number of vessels reporting to Amver increased by 196 per day. In fact, the average daily plot increased from 3,421 ships in 2008 to 3,617 in 2009. The net result of these numbers was 237 lives saved. That's the reason we continually recruit and reward ships for enrolling in the system. So sailors disabled and adrift near Madagascar, refugees adrift near Spain, or yachtsmen capsized hear Cape Horn can be saved and reunited with their families. Who are these mariners? They are Greeks, Norwegians, American, Iranians, Chinese, Japanese, and hundreds of other countries committed to saving lives at sea. They are crews of cruise ships, fishing vessels, LNG carriers and Ro/Ro ships that willingly divert into a storm to rescue a hapless sailor. So log onto the Amver enrollment page and get your ships signed up. Download the user's manual and start reporting today. If you already subscribe to a commercial fleet management program like Pole Star, you can begin reporting automatically by asking your customer service rep to ensure your messages are forwarded to Amver. Subscribe to a service other than Pole Star? Let us know who the company is in the comments section and perhaps we can strike a deal with them too. Does your company have an internal automatic reporting scheme? Let us know about that and perhaps we can get our technical team working with yours to automate the process. Not interested in participating? Feel free to contact us to see if we can better explain the system and help you make an informed decision about Amver. If you haven't enrolled yet please click here to learn more. Already enrolled? You can download the Amver User's Manual and begin reporting now. Either way we glad you joined! Our good friend Julie Lithgow, from Pole Star, sent us this great picture the Pole Star team made. It has been sitting in our in box for far too long and we wanted to share it with our Amver readers. If you look closely you can see the pictures of Amver enrolled ships in the collage. Thank you Julie and Pole Star for sending this to us! What is Amver's relationship with Pole Star? Amver participants who also subscribe to Pole Star's fleet management product can have their position reports automatically sent to the Amver system free of charge. What's the benefit? It streamlines the reporting process and eliminates one report the bridge team has to make.